At-Bristol Science Centre is a neat science centre that is very famous among tourists and locals alike. It exhibits interactive activities and a fun filled journey through the marvels of science. The place is also famous for its planetarium which is a centre of attraction. The place is a good place to spend some fun and quality time with family and friends and is highly rated by travellers for its amazing and breath taking displays of science. Buses can be taken to Anchor Road (W-bound) and Anchor Road (E-bound) which is very nearby to the location. Rentals and taxis are easily available in the city. 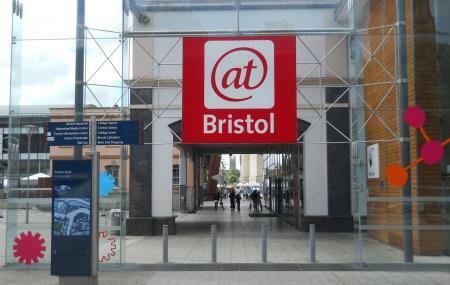 Avis Bristol Temple Meads Train Station is the closest station and can be accessed to get to the location. How popular is At-bristol Science Centre? People normally club together The Cabot Tower and Brunel's S S Great Britain while planning their visit to At-bristol Science Centre. Plenty of stuff to keep a 3 year old busy for the day. He was super excited by a lot of the interactive bits, the hardest part was keeping track of the toddler as he rushed off and explored. Staff were great and there were very few exhibits that were not working. The 2D space explorers show was great with fun audience participation. Brilliant place, very entertaining for adults too! Spent there a good few hours with our 7 years old, he absolutely loved it! The staff is very helpful, and happily explains things, they were very friendly. Coffee is very nice and you can take it inside with you. There is a picnic area where you can eat, toilets are nice and clean. Overall a very positive experience, we would definitely go back again! Some great science education stands but it could do with a bit of TLC as a number of the stands are missing components or not fully working. At this price it should be A1. The 3D planetarium is fabulous though, and fantastic for only a few £ more . Great for a day out with kids, lots of stuff to do with kids. Got lots of interactive stuff for kids and for adults. Got a cafe so no need to take a lunch. Quite reasonable price for what it is. It is worth a day out. It will take a whole day especially if you have you kids. Very helpful staff and is a clean and tidy place. The only thing that I would say is bad is the price of the shop.